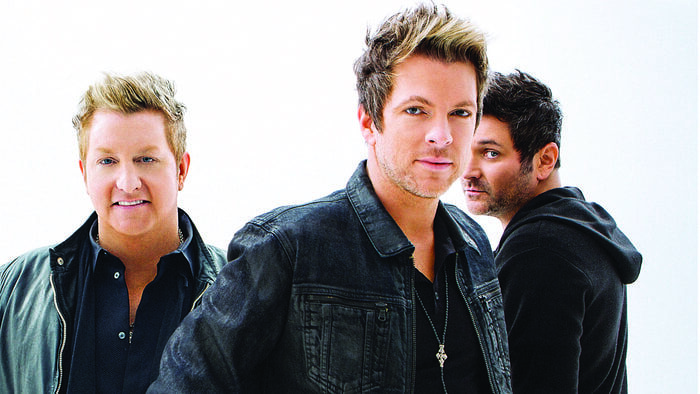 Rascal Flatts return with their eagerly awaited album Back To Us. With an 18 year career and a loyal fanbase to match, this album was bound to do well. 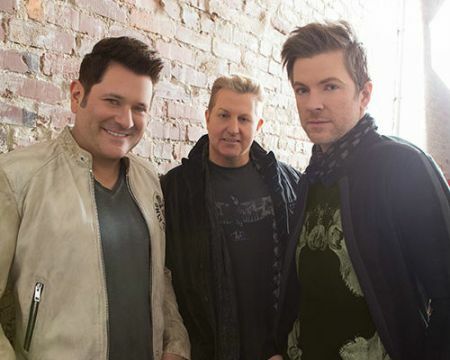 Having such a long career and eleven albums including a greatest hits record and a Christmas album, its safe to say that Rascal Flatts have experimented in areas but at the same time have stayed very true to their original sound. 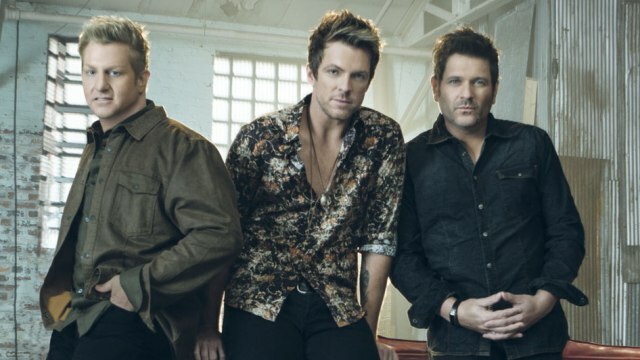 Rascal Flatts have always had a country pop feel to them, probably being one of the first bands in country music to bring that ‘then’ new sound to the country verse. With Rascal Flatts, there is always something for everyone, always a song you are bound to like whether you are a fan or not. There are songs that I have never warmed to but overall, I love Rascal Flatts, I love their sound and I especially love songs such as Life Is A Highway, Banjo, Prayin’ For Daylight and Changed to name a handful. Back To Us does not disappoint, it is mostly a typical Rascal Flatts album with introductions to a newer, fresher and younger sound which is mostly down to songs such as Hopin’ You Were Lookin’ which is written by Dan Smyers and Shay Mooney of Dan + Shay with Cary Barlowe and Jesse Frasure and Love What You’ve Done With The Place written by Benjy Davis and Shay Mooney. A smart move in my opinion, with Dan + Shay being one of country music popular duo’s right now, their additions to this album are bound to draw in a younger crowd, so lets hope one of them gets released as a single. The album kicks off however, with Yours If You Want It written by the late Andrew Dorff and Jonathan Singleton. This song is very typically Rascal Flatts and in a great way. It is upbeat and fun which is what I think Rascal Flatts do best. As stated above, Hopin’ You Were Lookin’ is one of the Dan + Shay cuts. I really like this song and it really does scream Dan + Shay and brings a lot of youth to the album. I really enjoy the “Oh-oh Oh-oh-oh”segment of the song, it brings ‘live music’ appeal and is an exciting song all round. I am curious to hear a Dan + Shay version should they ever perform it live but this really suits Rascal Flatts. Carrie Underwood fans, myself included were a little bit surprised to see I Know You Won’t on the track list, after all, how can that song even be considered to be done by anyone else? Rascal Flatts do a good job but as predicted, it doesn’t compare to Carrie’s version and lacks the pure emotion that Carrie holds in her vocals during this song. When Carrie sings it, you really feel her pain and your heartbreaks with her and each time you hear it, whether that be live or on record, you feel the emotion every time. Gary Le Vox does sound beautiful when he sings it, it’s just not as believable for me. Dance – exactly what it says in the tin, a country version of a dance pop song. It has an infectious beat which makes you want to dance around the room. It reminds me of The Henningsens Dance Like No Ones Watching in terms of it being energetic and high spirited, it is not similar sounding in any way. It does put you in a good mood, I would be interested to see a music video for this song, it has a lot of potential. 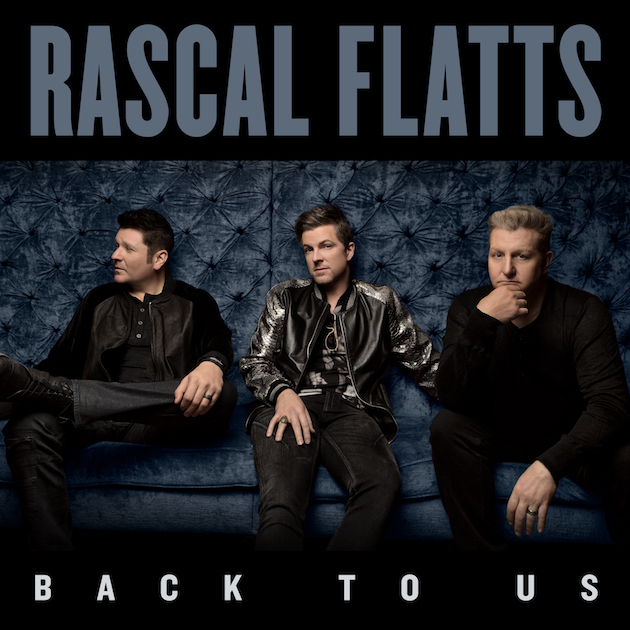 Back To Us – a beautiful ballad which Rascal Flatts are also brilliant at and most known for in many ways. Gary’s voice always shines the most during ballads although I would say this is more of an anthemic power ballad. Kiss You While I Can – another youthful sounding tune with a mid tempo to upbeat melody and a great toe tapping beat. It isn’t my favourite off the album sadly but still a good song. Vandalised – this is a nice funky, soul/ Jazz song with a nice brass segment to it giving the song a nice energetic feel and the kind of song that would sound great live with a big band. Are You Happy Now (Feat Lauren Alaina) as a Lauren fan, I was so pleased to hear she was on this record. Lauren is climbing the charts and really making her mark in the industry at the moment and deservedly so. I LOVE this song. Gary and Lauren’s voices blend so beautifully together and produce so much emotion and drive. Lauren has one of the best voices in the industry and on this song she is unbelievably flawless. Overall, this is a great, powerful tune with some of the most powerful vocals I have heard, I need to see/hear this song live and have a feeling CMA Fest goers will get to have exactly that. Best song on the album in my opinion. Hands Talk – this song reminds me of Lady Gaga’s A Million Reasons during the verses but the chorus moves away from that. Again, a good song but not a favourite for me. It has a nice mid tempo melody and is catchy. Thieves– now this is the fun-lovin Rascal Flatts that I love. A great chanting song, especially in the chorus. The song is catchy and infectious and as I said, fun! Love What You’ve Done With The Place – a stunning ballad that draws in a lot of happy emotion. The second song written by Dan + Shay and am surprised they haven’t cut it themselves. It really is beautiful and has a nice Country/ R&B feel to it. Roller Rink – a potential single. With its addictive chorus that will no doubt get people singing loudly in their cars and the kind of song you can hearing being blared out of bars all over Nashville, this may just be released as a single. It is very up beat and one of those songs you will pick up every word to easily. It has a great summer sound and makes me want to go to CMA Festival. Our Night To Shine – a bit of a ‘take it or leave it’ song for me. It is a good song to end the album on but there are just much more better songs for me. It is great lyrically but doesn’t grab me. Perhaps my opinion will change the more I hear it, that does happen. Overall, another great album by Rascal Flatts and I am glad that they have kept to a lot of their original sound and haven’t forgotten who they are and what their fans love about them. This album reminds me why I love them actually and I am starting to miss them a bit and hope that they return to the UK for a tour really soon as they are great live. I highly recommend this album to not just Rascal Flatts fans but to country music fans, country pop fans and to the younger generation who like artists such as Dan + Shay and may not have given Rascal Flatts a chance yet as they haven’t been as media focused as the newer artists.